September 30, 2015 May 23, 2016 • Glenna G.
After a few months backpacking through European cities, my boyfriend and I headed to Chamonix, France, to begin a 10-day hike through the Swiss Alps. 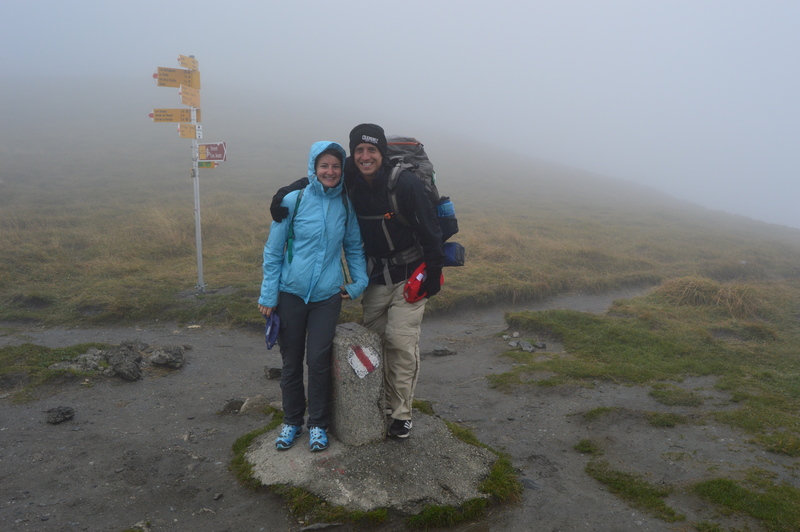 Armed with a guidebook and a few extra layers, this hike was definitely a highlight of our time in Europe. Photos can only begin to show the scenery, because even my wide-angle lens wasn’t enough to capture the epic vistas of Switzerland. 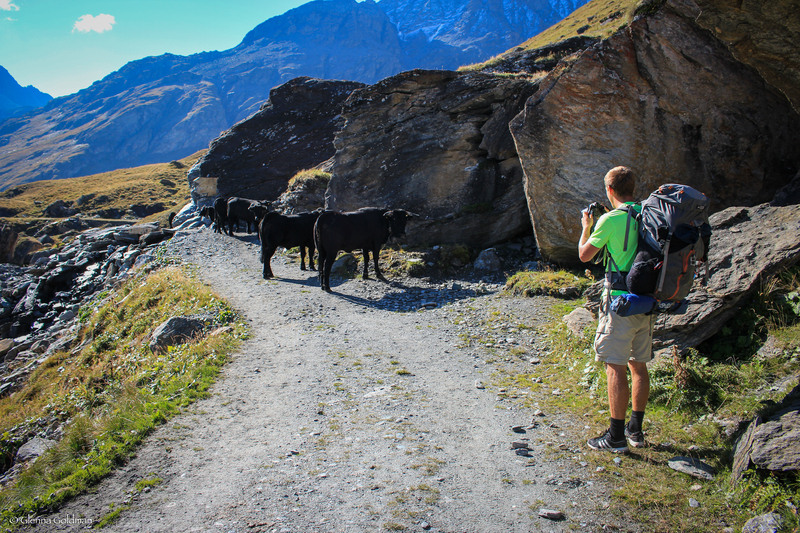 Check out Jake’s day-by-day account of the hike on his blog, The Traveling Geiger. We started with a day to relax in Chamonix, France. It was a gorgeous little ski town, where we picked up some extra gear for our expedition. The view from our hostel was spectacular (when the clouds cleared up), and we regretted not fitting in a few more days to soak in the hot tub and hike the nearby ski trails. It rained for a few hours towards the end of the day, and we had to dry out our gear by the fire.You can’t see it, but hidden behind those clouds off in the distance is a glacier. We woke up to ice on the outside of our tent! However, our second day more than made up for it, with views of that same massive glacier motivating us up our first major pass. We basked in the sun after freezing up on top of the pass, and made our way to our first mountain hut. 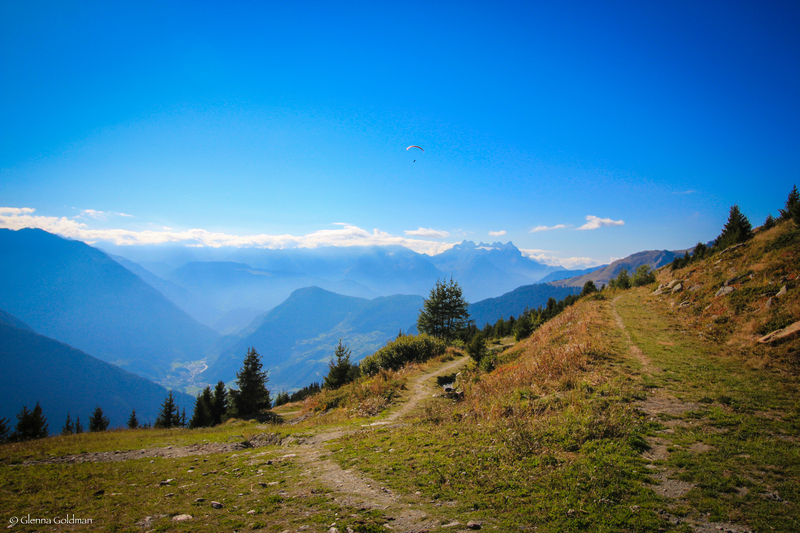 In the Alps, people generally hike hut to hut, only carrying clothing and water. We brought a tent, but this day it was a bit too cold and windy for our liking. 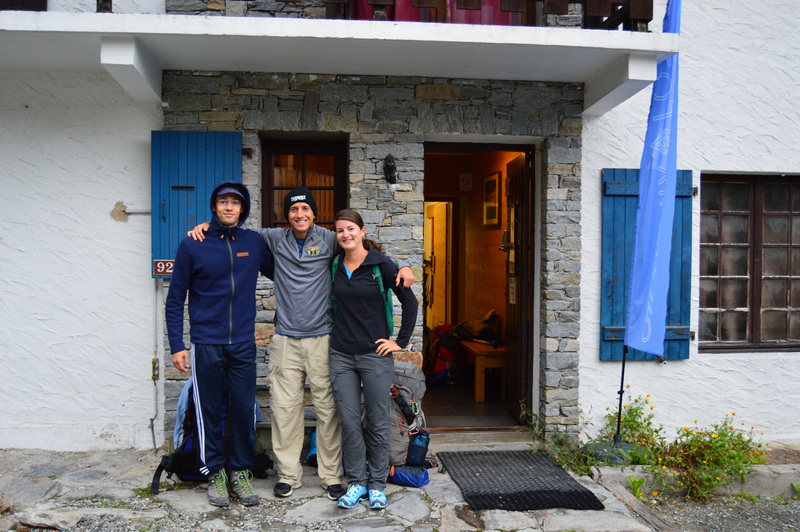 We spent 3 of our 10 days in huts, which provided a warm bed and the option of food. I was a bit appalled to find that all of the huts were placed atop hills, which is very frustrating after you’ve already spent a full day hiking up and down mountains! We had a lot of cow crossings… We could hear them for miles, since they all had bells, sized accordingly. The next few days led to even more stunning vistas of glacial lakes and snow-capped mountains. At this point we were getting more used to the long days and tight muscles, but the elevation change each day was still a bit daunting. Check out this hut! It reminded us a bit of Harry Potter… We didn’t stay the night here, but took a lunch break before crossing a glacier! Next was the most challenging climb of all. At the end of a very long day, we had to climb waaaaaaay up high to our hut. It was tough, but the view was worth it. The hut was perched over an enormous glacier, and a string of bright blue glacial lakes. The hut’s dining area had a panel of glass windows, so we could appreciate the view from the inside. It snowed on the way down the next morning. Not ideal. For the next few days we hiked up over a single pass, and took our lunch break at the top. I’m not at all ashamed to say that I ate a lot of chocolate on this hike. Jake’s favorite was the deer sausage! 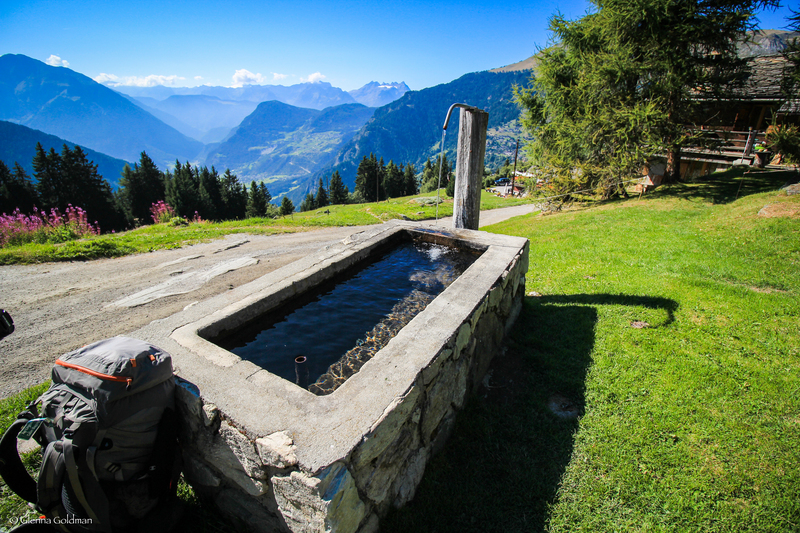 We got water from these troughs, which were located in or near all of the tiny towns up in the mountains, as well as down in the valleys. Can you see the paraglider? Our routine continued. Hike down into the next valley, load up on groceries, make dinner, and tent somewhere off the trail. It was all fine and dandy, until one night we were awoken by a TERRIBLE animal sound. BAAAAAHHHHHPP! Is all I can think of to describe it… Jake can do a pretty good impression if you want to hear it. We pictured it as a huge mutant goat with crazy eyes and its tongue sticking out. Our imaginations went a bit wild, as we had no idea what was making the sound, and we had no bear spray or other way of defending ourselves. We were mere yards away from an apartment building, so we assumed we were safe. We were told the next day that it was a Chamois, a goat-like animal local to the region. Luckily it went away, whatever it was. We met a lot of cool people on the hike, from all over. There were a pair of friends from Israel, a couple from Canada, a family from Scotland, and a couple from Wales who had hiked the PCT. We haven’t even done that one yet! The hike continued to be epic, although on our second-to-last day, on our way up the pass, it rained, and then snowed. Nearby rockfalls started echoing during our ascent, and we were afraid that we’d lost the trail after the pass. About two hours past the pass, we came to a ski lift, which we paid an exorbitant price to ride down. After freezing for hours, all we wanted was a hot shower. After some searching, we found a hotel and proceeded to stand in it until the hot water ran out. We munched on snacks and enjoyed the view, knowing that we only had one day to go. The next day was a bit drizzly as well, so we just wanted to GET THERE! It cleared up a bit as we finally walked into Zermatt, our final destination. 10 days, 104 miles, and 38,245 feet in elevation gain later, we’d finally made it! Of course it poured while we trying to find our hostel, but we got warm showers and solid meal. Despite our love of hiking, we were both happy that we didn’t have to hit the trail again for a little while. We snapped some shots of the Matterhorn before leaving town. Posted in Hikes, Hiking/Backpacking Trips, Travel BlogTagged Hiking, Nature, Travel BlogBookmark the permalink. Spectacular scenery! Loved all your pics. What a gorgeous hike! We are thinking about doing this next summer and are curious about the difficulty. How was the footing? Did you find any sections of the trail to be particularly treacherous? We did the JMT this summer and are up for a challenge, but I am not wild about dangerous hiking… Thanks! I wouldn’t say any part of the hike was dangerous. There are a lot of rocky parts, but the only time I felt unsafe was on day 9 when we were hiking up a pass, it was snowing/raining, and there were nearby rockslides going on. Hopefully you won’t have to deal with that. There’s the usual sliding rock on downhill switchbacks, stream crossings, etc., but nothing too out of the ordinary. The hike was very strenuous, but we also did it much under the recommended time. If you did the JMT, you’ll be fine. However, it’s not as well-marked (signage-wise) as most hikes because it’s kind of a combination of other trails. You should definitely use the book listed here or a similar one: http://thetravelinggeiger.com/the-walkers-haute-route/ or you WILL get lost. The Tour de Mont Blanc is much more popular, and has more signs. Also, if you choose to spend the night in any huts, be warned that they are expensive, and if you do it in high season, you need to make reservations in advance. 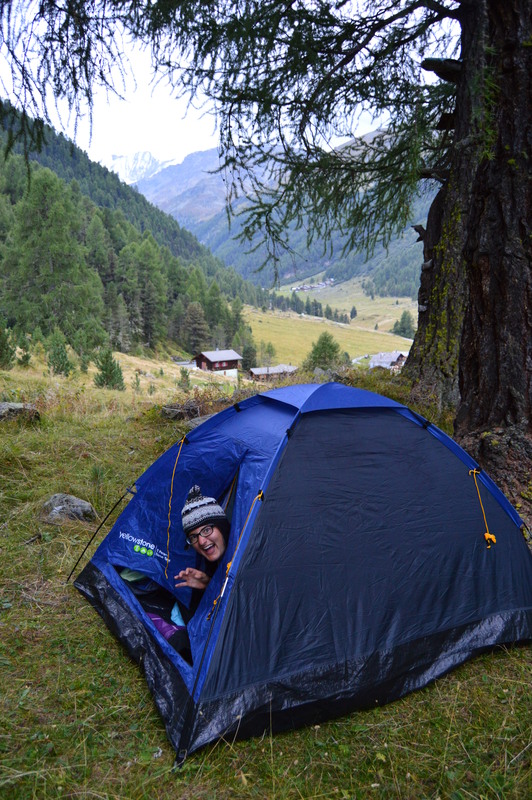 We chose to tent when possible, but it probably would’ve been more enjoyable to have a warm bed and dinner every night. Also, great blog! My boyfriend and I are planning on visiting the Cordillera Blanca soon. I look forward to reading about more of your adventures! Thanks so much for your detailed response, Glenda! We are planning on doing the TMB and then the Haute Route, so hopefully we will be in good shape for all the ups and downs. Your photos are just gorgeous, and they have me really excited about doing this hike. 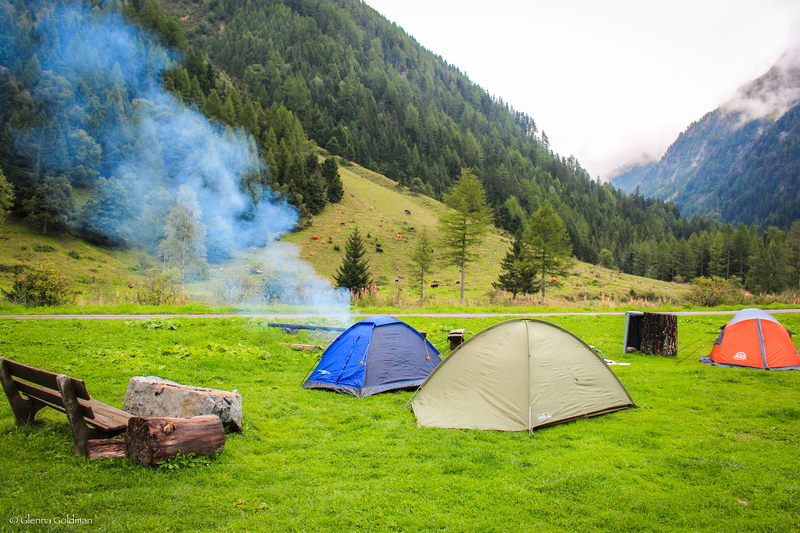 Were there other people tenting on the trail when you were there? We would like to stay in some huts, but I hesitate to make reservations in case the weather is an issue or if we can’t make the miles for some reason. I’m not exactly sure how we will handle that issue just yet. Thanks for taking a look at our blog. The Cordillera Blanca is amazing. We also did the Cordillera Huayhuash which is equally stunning. We promise to get around to posting about it soon! Cheers! You’ll be in great shape after both! Make sure you bring lots of layers, we experienced everything from 80’s and sunny to below freezing and snowing midday. We only met one other couple who even brought a tent. You’ll have to plan very differently than the hut hikers if you plan on tenting, because they stop at the high point to sleep, and obviously you’ll want to camp down near the villages. Great advice! Thanks so much, Glenna!